Yesterday was a special day; it was our annual family picnic. Now this is a pretty big deal for my family - there's usually around 15 of us, and is really the only other time we all get together aside from Christmas. Luckily the sun was shining (I even got burnt shoulders, fool) and a good day was had by all. It was the first picnic with my gorgeous nephew, and without my dear old Nan. Now normally it was Nan's job to make the pud and a big chocolate cake - there are 6 family birthdays in June/July - but this year I took on the challenge. 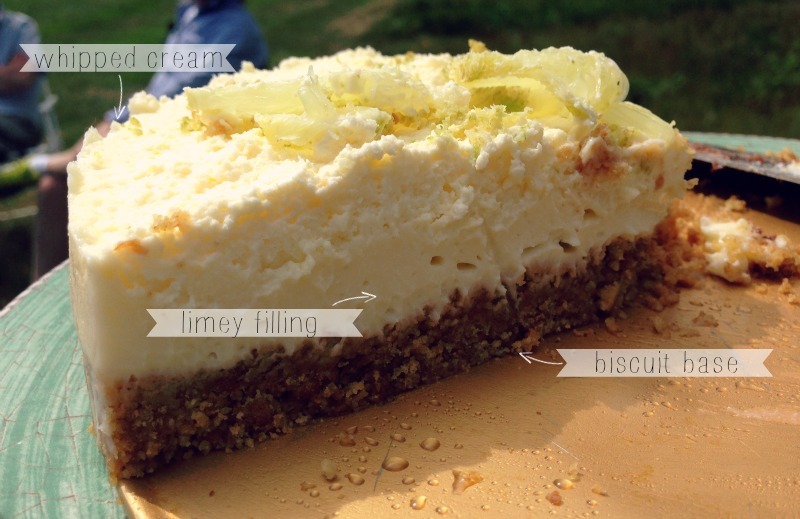 I decided to go for a Key Lime Pie, and here is goes! 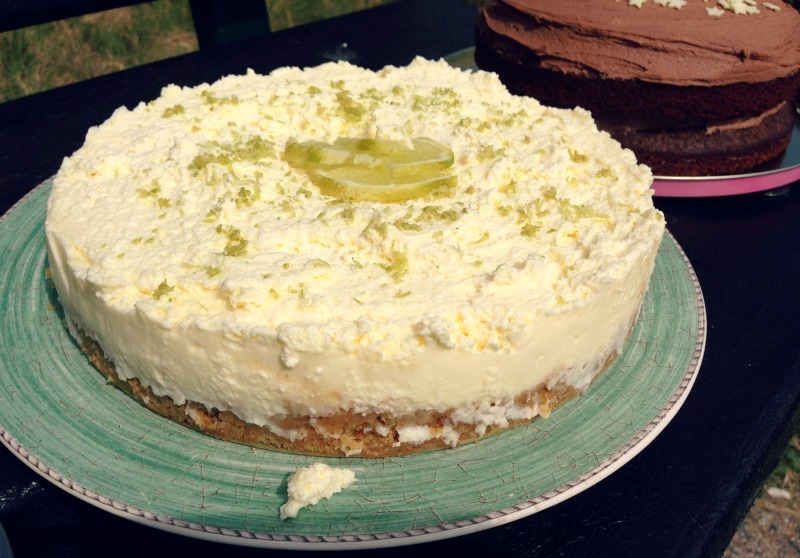 This is an amalgamation of a Mary Berry recipe and a few others floating around the internet. First up, make your base. Melt the butter and crush the biscuits, then mix together. I used more than the 150g/5oz suggested as wanted a nice thick base - I just chucked in a whole small packet, 250g I think, with a knob more butter. I then mixed in a sprinkling of demerara sugar to sweeten. Push into a loose-bottomed cake tin using your hands, you wont need to grease or line it before. Leave to chill in the fridge while you do the next step. Now for the filling! Juice 4 large limes (I followed Mary Berry's tip of warming the limes in the microwave for a minute first to make them easier to juice), and mix with the tin of condensed milk and 300ml (half a pint) of double cream. Blend until all are mixed together, I used an electric mixer on a low setting for about a minute. You don't want to start whipping the cream! Pour the mixture onto the (buttery) biscuit base and leave to set in the fridge for a few hours. Before serving, or the night before if needed, whip the remaining double cream (as much or as little as you want I guess!) and spread over the top. You can do this before or after you've removed it from the dish. 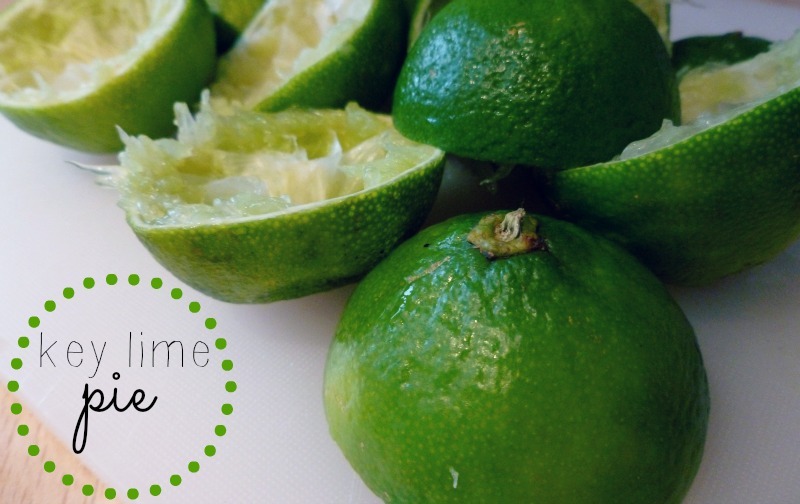 Grate the rind of the remaining lime over the top, and decorate with slices of lime if desired. Now - demolish! It really is so yum; nice and sharp but sweet with the base and creamy with the topping. You can also replace the cream topping with meringue - see Mary Berry's recipe for that! Oh my giddy aunt, this looks delicious!